Every Summer Weekend in Lake Havasu City is a Party, especially for Boaters. But, the 4th of July; WOW! After the sun goes down, watch the sky light up over Thompson Bay; best beach viewing is Rotary Park but get there early. 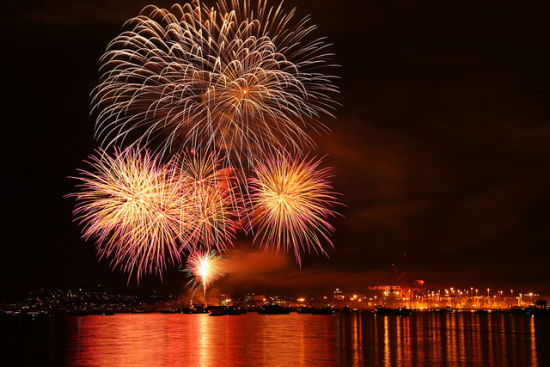 Or spend the day on the water and tie up with your fellow boaters in Thompson Bay to watch the fireworks from your boat. And, if you're out for a walk and like entertainment with your exercise, a round trip walk from Rotary Park to the English Village then across the Bridge to London Bridge Park and back is a real hoot; People Watching at its finest.